Standout announcements from the release includes the info that every copy of the game will be bundled with the aforementioned 'stand', the title will feature limited circle pad pro support, and Pit (Kid Icarus) will actually be using some hardware in the form of vehicles and weaponry. Introduction: The game’s story begins with the return of the dark goddess Medusa and her Underworld Army. With the help of Palutena, goddess of light and guardian of the human race, the heroic angel Pit must combat the forces of darkness as he battles Medusa and her minions by air and by land. Fiend’s Cauldron: The Fiend’s Cauldron is an incredible new system that allows players to customize their play experience by adjusting the intensity level. Intensity ranges from 0.0 – 9.0 for each individual Chapter. As the intensity increases, players will be able to earn more Hearts and more powerful weapon drops from defeated enemies. Hearts also can be used to purchase new weapons. The standard intensity setting is 2.0, but players can precisely adjust it by increments of 0.1. In order to increase the intensity, players must bet by placing an increasing number of Hearts into the Fiend’s Cauldron. If the player is defeated during the Chapter, some Hearts will be lost and the intensity will be lowered. 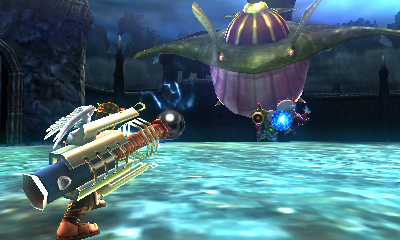 Weapons: A wide variety of collectible weapons offers an extraordinary amount of replay value. With nine different categories of weapons, ranging from Bows to Claws, players can learn the unique characteristics of each weapon and determine which is best suited for each battle and their style of play. 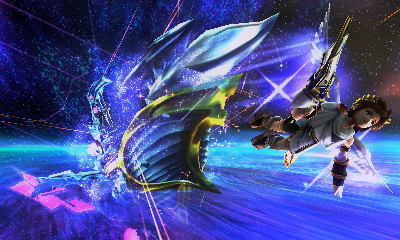 Vehicles: During certain parts of his adventure, Pit will have access to special vehicles such as the Exo Tank. 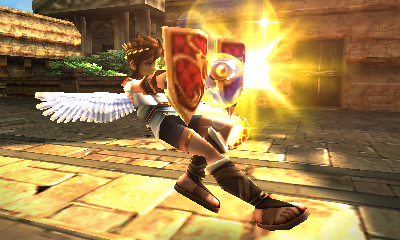 Pit can use the tank’s powerful drift ability to boost over jumps or defeat enemies with the tank’s ramming horn. 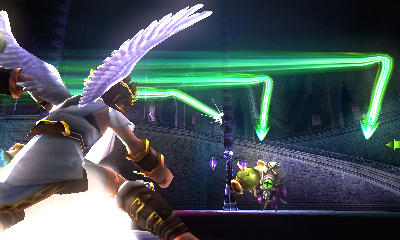 Stand: Kid Icarus: Uprising uses a control scheme designed to fit the game’s unique blend of flight, shooting and melee combat, and offers tremendous precision and depth for dedicated players. The left hand uses the Circle Pad while the right hand uses the stylus. Every copy of the game will come with a free stand that holds the Nintendo 3DS at an angle above any flat surface, providing players with a new kind of gaming experience. 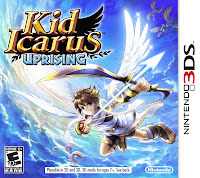 Circle Pad Pro: Kid Icarus: Uprising is compatible with the Circle Pad Pro accessory, offering an alternate control scheme for left-handed players. With the Circle Pad Pro, players hold the stylus in their left hand and use the Circle Pad with their right hand. 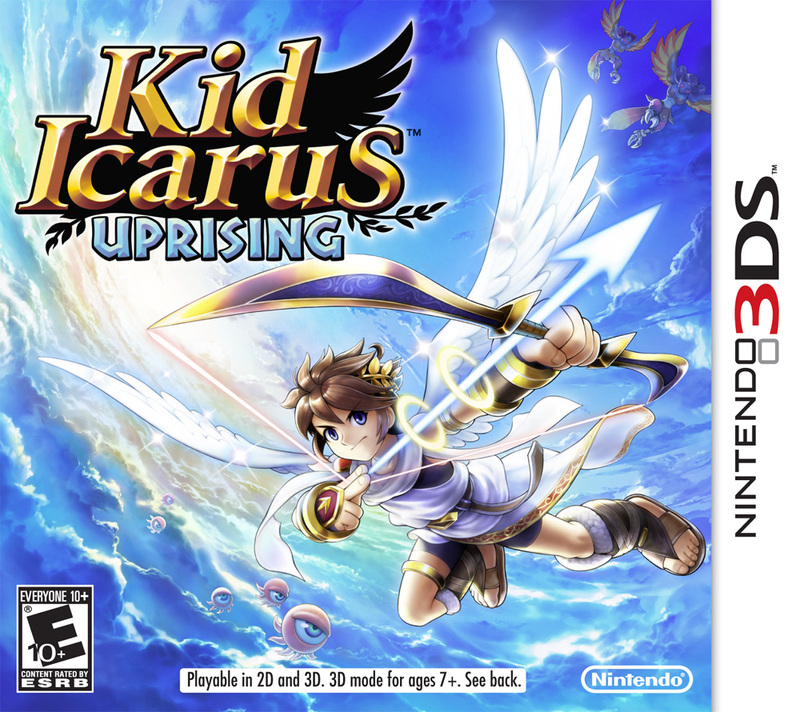 Also very cool is the news that pre-ordering the game will net you the original Kid Icarus (from the NES) as a downloadable onto your 3DS. And not only that, but the game will be bumped up to 3D Classic level which means it'll be complete with (you guessed it) 3D visuals. Nintendo says they'll be releasing more info about the hotly anticipated title prior to it's 3/23 release date, but if you'd like a more detailed look at the game- click right here and be taken to a magical world of feathery wings and heavy ordinance... apparently.